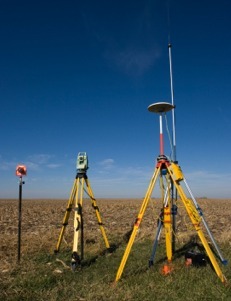 BERT HAZE & Associates, Inc.
We are Land Survey and Mapping company, specializing in Wireless Communications surveys. Bert Haze (CA, LS7211), has been involved in the production of Topographic Surveys for the Cellular Industry for nearly 20 years. He incorporated his own business in 2004. He has passed on his knowledge and experience to a diverse staff of field and drafting professionals. Although the majority of our work is in the Cellular Industry, we do provide services for all other survey needs (ALTA’s, Record Maps, residential / commercial properties and construction staking). Contact Us Today For More Informatin! © Copyright 2009 Bert Haze & Associates, Inc. All right reserved.